The bus journey from Kodaikanal to Ooty wasn’t particularly a pleasant ride. As soon as the bus descended to Palani, the heat and humidity made us feel uncomfortable. To top it off, the bus stopped at at least 3 places for over 30 minutes each time. The temperature dropped rapidly as soon as we ascended the hills again. When the bus reached Ooty, it was 4:30 am in the morning. The temperature was 12 degrees. The bus conductor said that we would get an auto easily. He was wrong. We abandoned any hopes of a vehicle and walked the 750 meters from Charring Cross to our hotel using Google Maps as our guide. I had already caught a bad cold. I popped in half a pill of Cetrizin and slept till noon. Later, I had to take some D’Cold to ease the nasal irritation. We did not have much time for the day. The Hotel reception suggested that we visit Pykara Lake and the places along the way. Most places remained open till 5:30 pm. We had about 4 hours to do the trip. Pykara is about 45 mins drive from Ooty. The driver suggested that we go there first and then visit all the places on our way back. 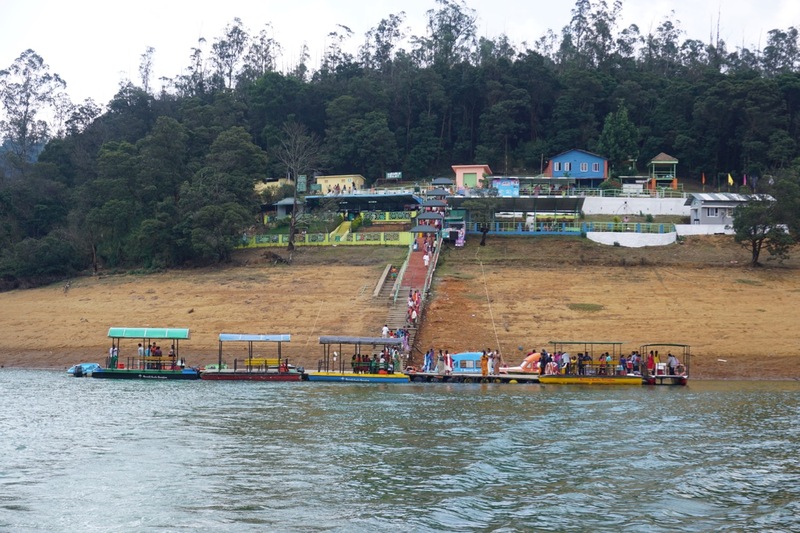 Pykara Boat House. We had to wait for a few minutes for some other families so that we could book a 10 seater boat. 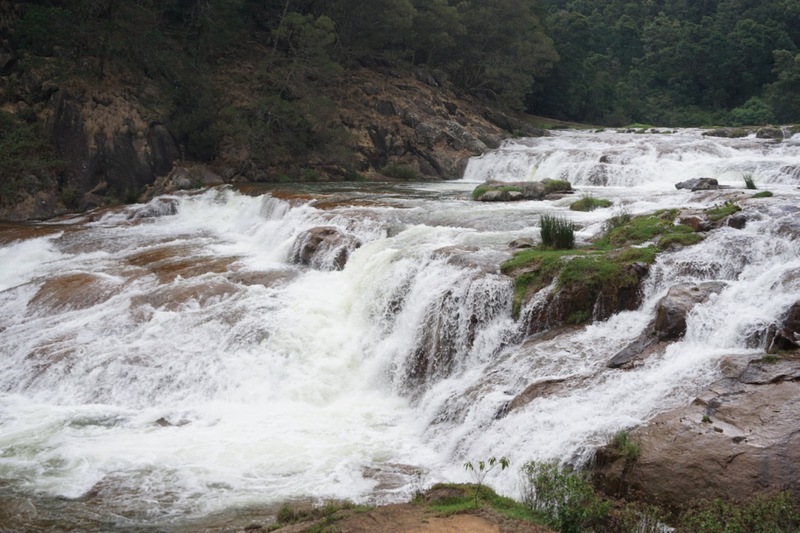 Pykara Falls is a separate spot a few kilometers before Pykara Lake. A panorama of Kamaraj Sagar Dam. We also stopped at a few spots that are famous as shooting locales for movies. These weren’t that interesting at all and were no different that the ones we had visited in Kodaikanal. 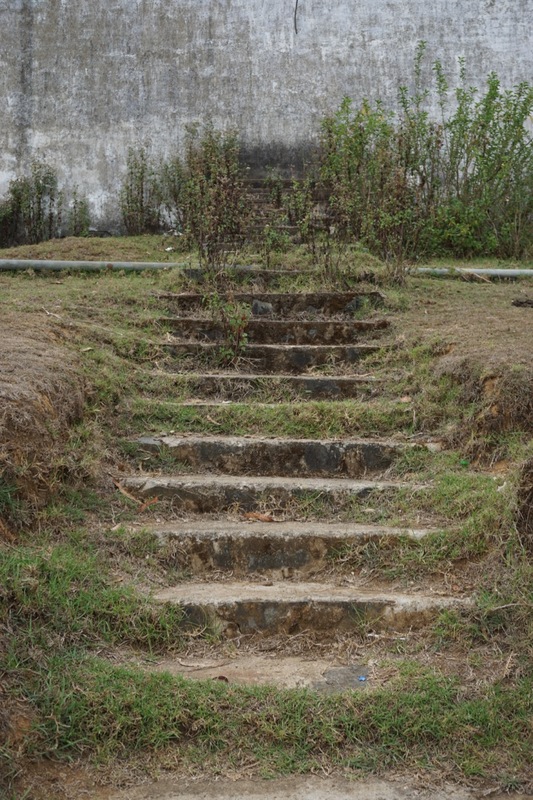 Staircase that leads somewhere… but not here. 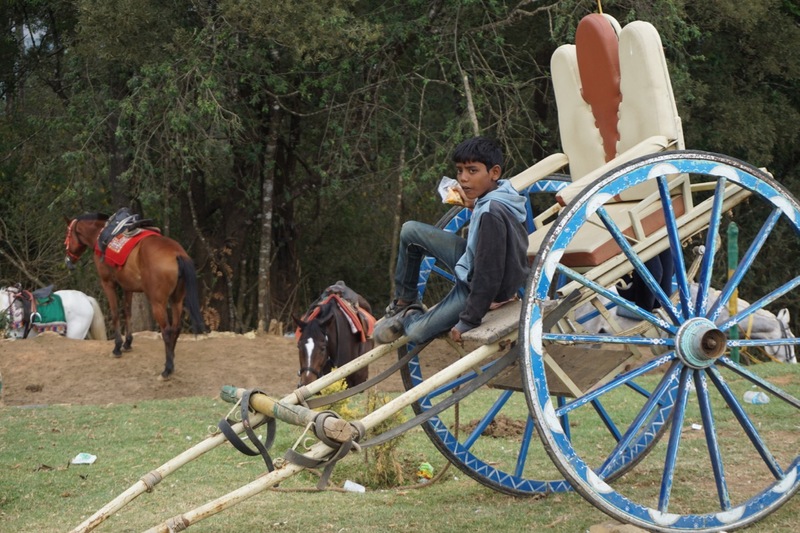 A kid enjoying some savouries on a horse cart. 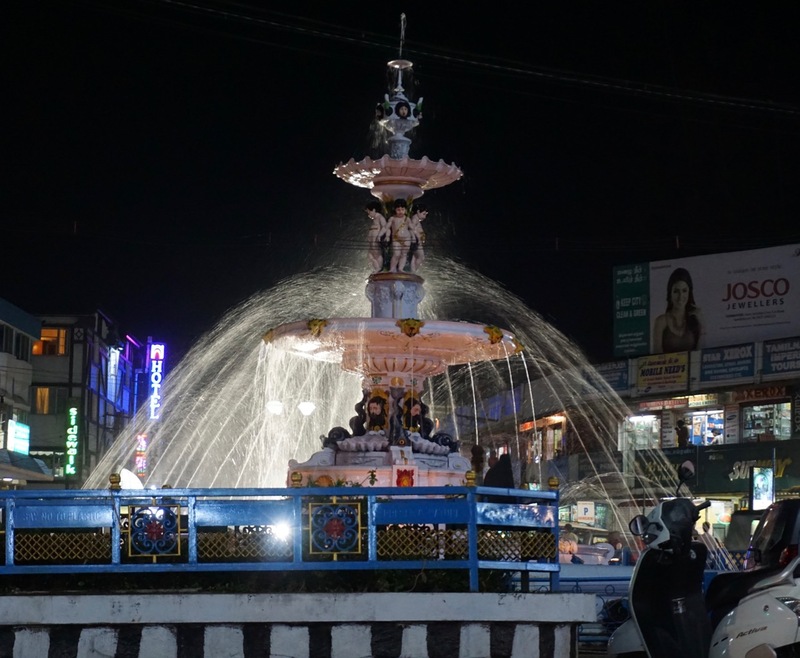 After we were done with the site seeing, we walked around the market area of Ooty. The market is quite lively. The fountain at Charring Cross. 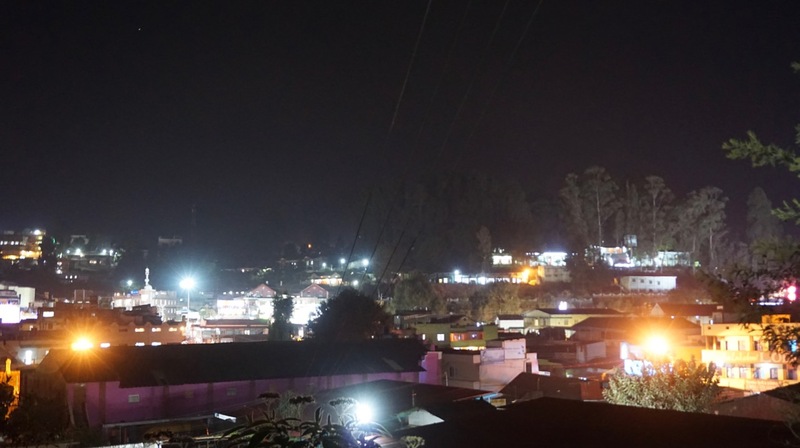 Ooty lights itself up at night. 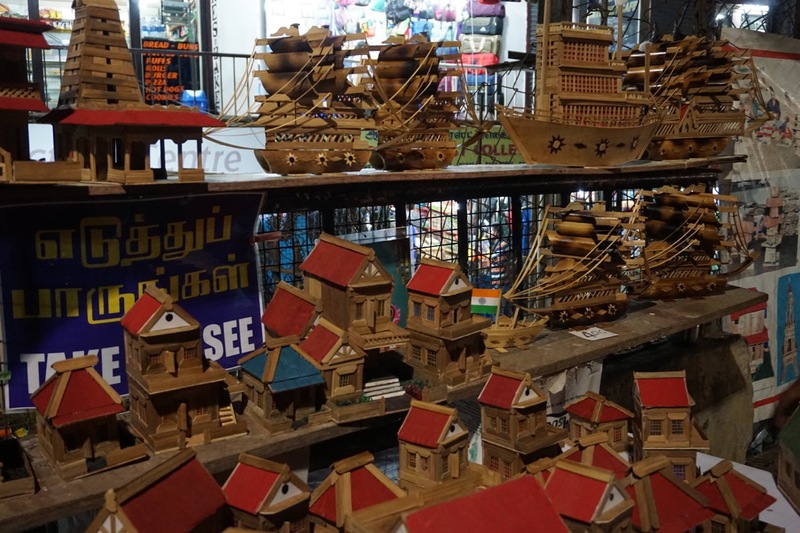 A lady was selling handmade stuff made of bamboo and wood. They looked pretty nice but were too fragile for us to carry. It is possible to do this site-seeing trip on a bus. The walks would be longer and it might take the entire day instead of the four and half hours we took in a car. At last, we had some good food at Ooty. We ordered room service for our breakfast and dinner – dosas in the morning and a chicken and a veg gravy for our dinner. Both the meals were very good. We had our lunch at Quality Restaurant. They offered a pretty nice veg buffet at reasonable price. There is a vegetarian cafe called Nahar Sidewalk Cafe near Charring Cross. They served wood grilled veg pizza which even my mother enjoyed. I also bumped into a colleague of mine here who was on a vacation with his family, too.